Samsung’s AI voice-assistant Bixby may not be a favourite among users but that has never deterred the Korean giant from adding new features and forcing people to use it. Samsung announced at CES today that Bixby will be integrated into more of its products, including its 2019 lineup of QLED TVs as well as its range of connected refrigerators, washers and AI speakers. That’s not all, Samsung stated that Bixby will soon work alongside Google Play, YouTube and Google Maps thanks to an agreed partnership with Google. iHeartRadio, Uber and Ticketmaster will also partner up with Bixby to make their services more intelligent. 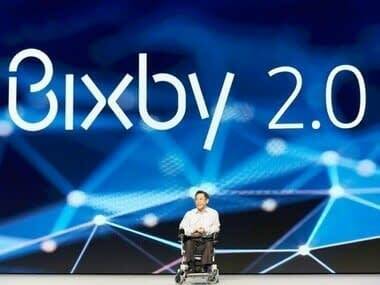 Samsung’s move essentially means that Bixby is no longer just another smart assistant but on its way to becoming an AI platform that will gradually work with many other services and devices. Hopefully, Samsung will also figure out how to make Bixby actually useful. As per a report by CNET, Samsung has promised to spend $22 billion on artificial intelligence by 2020 and has already opened seven AI centres across different parts of the globe. A total of 1,000 artificial intelligence specialists are expected to be employed by the company come 2020, which also happens to be the same timeframe within which Samsung expects all its products to be internet-connected and integrated with Bixby.